Bed and Breakfast Made in Palma -Turismo de Interior in Palma is a B&B with 3 Rooms. Made in Palma -Turismo de Interior offers air-conditioned rooms with free WiFi. This property is located in Palma de Mallorca a short distance from attractions such as the Port. The property is a 9-minute walk from Palma Yacht Club. All guest rooms in the inn are fitted with a coffee machine. All rooms come with a kettle, while selected rooms have a kitchenette with a microwave, a toaster and a fridge. At Made in Palma -Turismo de Interior, rooms are equipped with a private bathroom with a hair ...dryer. Popular points of interest near the accommodation include Passeig del Born Avenue, Palma Cathedral and Plaza Mayor. Palma de Mallorca Airport is 8 km from the property. Made in Palma -Turismo de Interior offers air-conditioned rooms with free WiFi. This property is located in Palma de Mallorca a short distance from at...tractions such as the Port. The property is a 9-minute walk from Palma Yacht Club. All guest rooms in the inn are fitted with a coffee machine. All rooms come with a kettle, while selected rooms have a kitchenette with a microwave, a toaster and a fridge. At Made in Palma -Turismo de Interior, rooms are equipped with a private bathroom with a hair dryer. 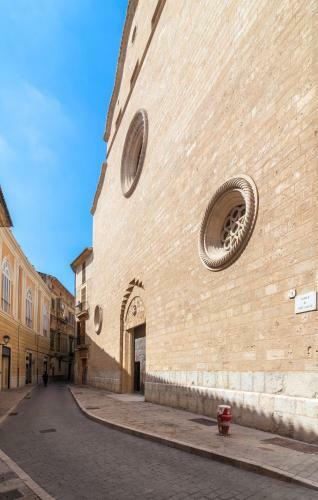 Popular points of interest near the accommodation include Passeig del Born Avenue, Palma Cathedral and Plaza Mayor. Palma de Mallorca Airport is 8 km from the property. When would you like to stay at Made in Palma -Turismo de Interior? Children and extra beds One child under 12 years is charged EUR 30 per night when using existing beds. All children under 12 years are charged EUR 30 per night for extra beds. All further older children or adults are charged EUR 30 per night for extra beds. The maximum number of extra beds in a room is 1. Supplements are not calculated automatically in the total costs and will have to be paid for separately when checking out. Any type of extra bed or child's cot/crib is upon request and needs to be confirmed by the innkeeper. Please inform Made in Palma -Turismo de Interior in advance of your expected arrival time. You can use the Special Requests box when booking, or contact the property directly with the contact details provided in your confirmation.